The accused fled the scene soon after learning that the two were dead, said Dhamdaha DSP SH Fakhri. Celebratory firing during wedding ceremonies and other happy occasions frequently cause death and miming in Bihar’s rural areas. PATNA: Celebratory firing during a wedding ceremony in Bihar’s Purnea district caused the death of two teenagers on Tuesday night, police said on Wednesday. Ashish Kumar, a 17-year-old videographer, and his assistant Saheb Kumar, 15, died on the spot after receiving bullets when they were busy at work at the wedding at Matihani village under Raghuvanshanagar police station area. “It is yet to be ascertained who fired the shots and whether he was in a drunken condition. The people named as accused fled the scene soon after learning that the two teenage boys were dead,” said Dhamdaha deputy superintendent of police (DSP) SH Fakhri. Police are conducting raids for the arrest of three men who allegedly fired the shots. However, Saheb Kumar’s father, Dayanand Mandal, lodged an FIR against four men accusing them of killing his son to settle an old score. Fakhri said one of the named accused was the bridegroom’s father Randhir Kumar, who is currently absconding. Celebratory firing during wedding ceremonies and other happy occasions frequently cause death and miming in Bihar’s rural areas. 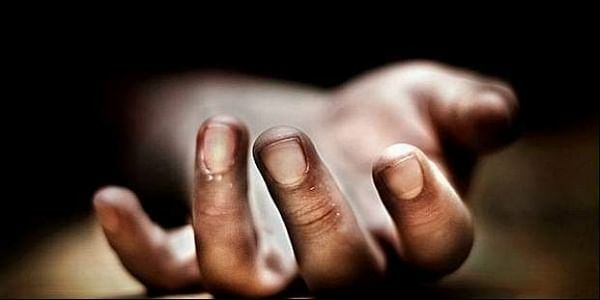 In June, 33-year-old Jitendra Singh, the cousin of the groom, was killed in celebratory firing during the wedding at Gonaila Tola village under Karagahar police station in Rohtas district. In another incident in June, two teenage boys – Satyam Raj and Golu Kumar – were grievously injured after bullets from a celebratory firing hit them at a post-wedding reception at Dhanpurawa village in Rohtas district. In fact, Rohtas district has been notorious for celebratory firings. In April, 19-year-old Chandni Kumari, a dancer from Chhattisgarh, was killed in celebratory firing during a pre-marriage programme at Ugar Bigaha village in the district. On January 30, Naina Kumari, a 20-year-old dancer, was killed after being hit by a bullet in celebratory firing during a cultural programme at Ghorwaksh village under Dinara police station of Rohtas.